Highly profitable and cash-generative oncology specialist with established brand. But near-term overhang from key doctor suspension; exporting franchises overseas will take time to build sufficient earnings diversification. Maintain HOLD with lower EPS and DCF-based TP of S$0.68, and 3% dividend yield. Talkmed is an established medical oncology and palliative care services provider, with 14 doctors at seven clinics across Singapore. It operates under the Parkway Cancer Centre (PCC) brand name, and leverages on the wide network of Parkway Hospitals Singapore and its affiliates for patient referrals. It is also a proxy to medical tourism, with foreign patients accounting for an estimated 50% of patient load (mainly from Indonesia, Malaysia and Vietnam) over the past few years. Talkmed records 30k to 40k patient visits a year, on average. While it is challenging to grow topline given the niche medical field (historically at single-digit), the business has consistently reported net margins of 50-60%. It also has minimal capex requirements which results in free cash flow of over S$30m every year on average; it is in a net cash position of S$65m as of end-Sep 17 (zero debt). Such cash-generating abilities enable the company to pay out 80% of its net profit (per dividend policy), implying c.3% dividend yield for FY17-19F. An inherent business risk for Talkmed, which we have highlighted since its IPO, is its reliance on CEO, Dr Ang Peng Tiam, who contributed to c.55% of its FY16 revenue. In July 17, the key doctor was suspended for 8 months after losing his appeal against the Singapore Medical Council, before restarting in April 18. We estimate some loss of patients and revenue even as existing patients could be redirected to other Talkmed’s specialists. 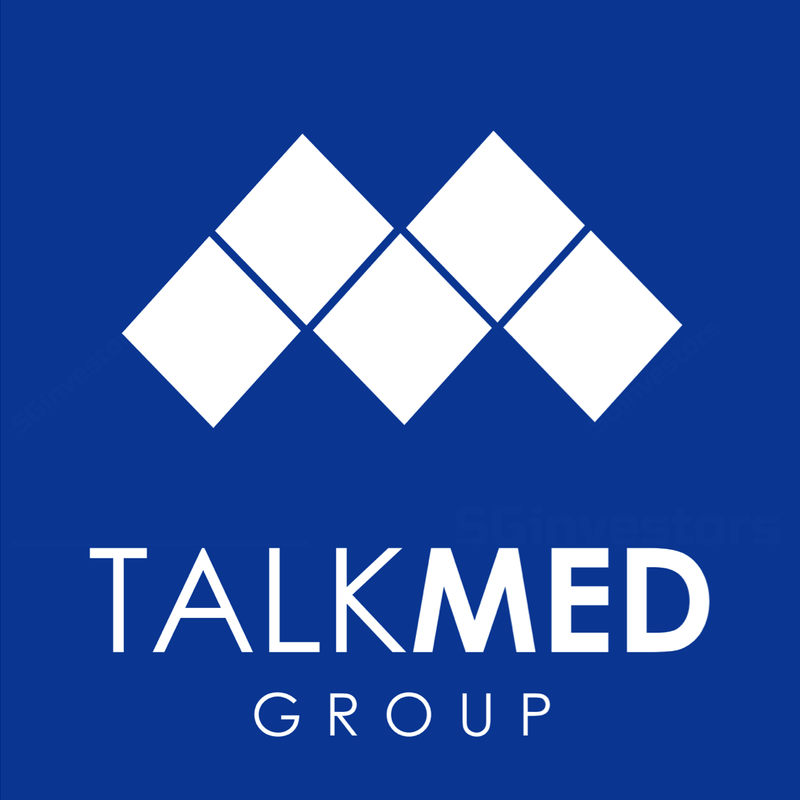 In 2015, Talkmed invested in a 30% stake in Hong Kong Integrated Oncology Centre (HKIOC) and Integrated Imaging & Endoscopy Diagnostic Centre (HKIEDC), in partnership with TE Asia Healthcare Partners. While the associates’ contribution reported a smaller net loss of S$0.4m in 3QFY17, it was profitable at the EBITDA level, and we believe it is on track to achieve breakeven in FY18F as patient load ramps up. In 2017, the group announced plans to venture into China, via management contracts in Chongqing and Beijing (partnership with Beijing New Hope Hospital Management). While overall positive on these overseas projects (on the possibility of cross-referring patients to Singapore), we opine that this asset-light strategy will take time to build sufficient scale for earnings diversification, but would not put its dividend payout at risk. We cut our FY17-19F EPS by 18-21% as we factor in earnings loss from the key doctor suspension, which leads to a lower DCF-backed target price of S$0.68 (WACC 7.1%) even as we roll forward our valuation to end FY18F. Our HOLD rating is intact. Downside risks are market share loss and slowing medical tourism. Re-rating catalyst could come from stronger expansion into North Asia.